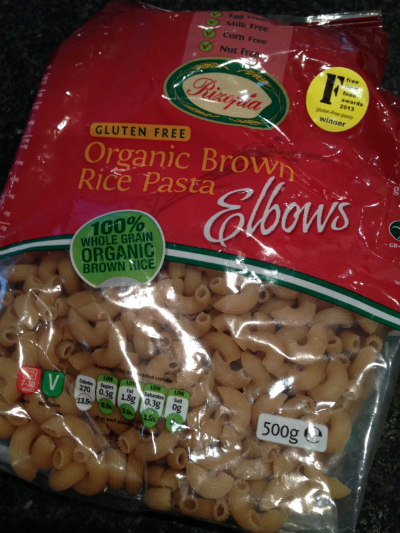 Recently I was sent some new gluten free brown rice pasta to review, Rizopia was Winner of a Free From award 2013 for gluten free pasta, I was keen to try it. 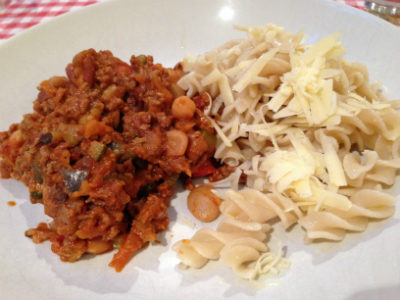 The pasta is free from Gluten, Wheat, Egg, Milk, Corn and Nuts an impressive start! 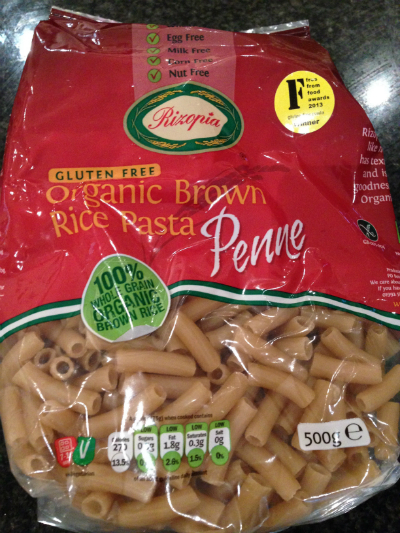 Gluten free Pasta has always been a favourite in my house but recently due to the fact that I am trying to live grain free I had rather forgotten to buy it for the family. They were very happy to have it back on the menu. 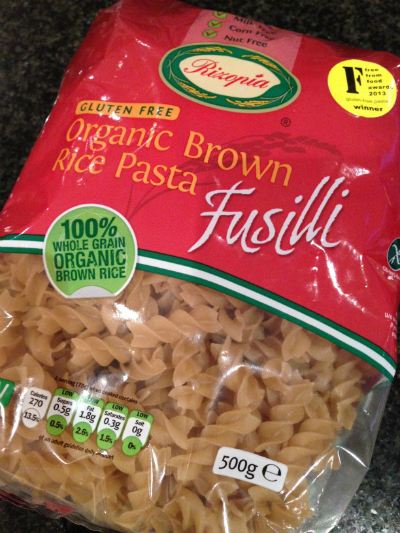 First we tried the Fusilli, they were very impressed. We liked the texture and flavour. 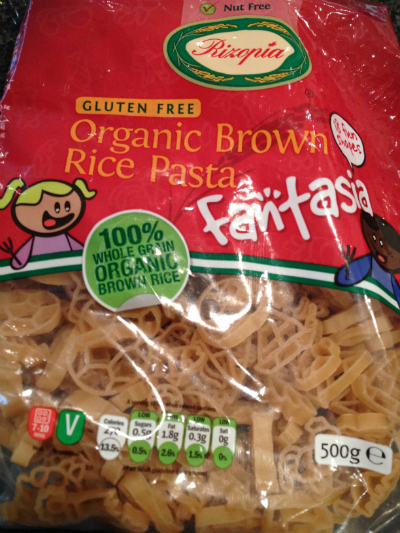 This pasta does need a good rinse with boiling water when drained, because it is made from rice and was quite starchy. 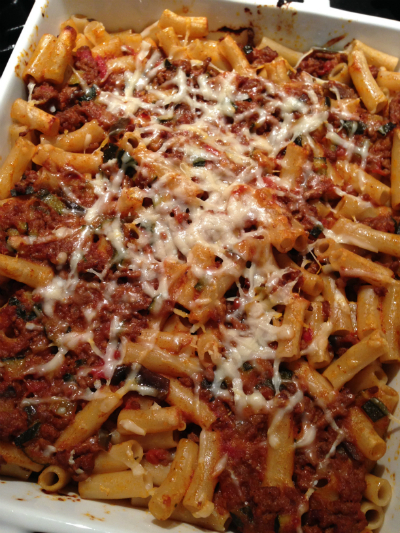 Next we tried the Penne, I decided to make my men folk a pasta bake using a homemade bolognese sauce. 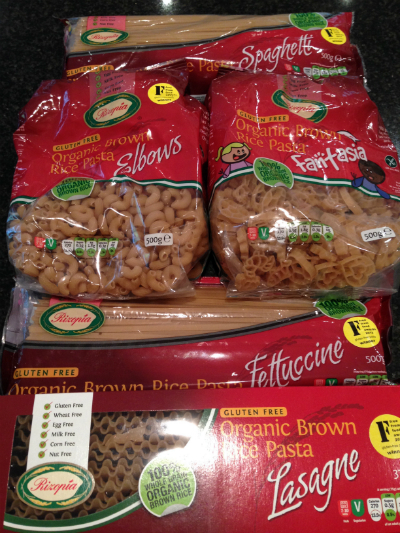 If these two pasta’s are anything to go by the family will love all of the varieties of pasta from Rizopia.